Tape when lying on unharmed side. Stick another tape from the painful place without stretch and smoothen it towards the hip. Lie down on your back and bend your knee. Place another tape over the original one directly above the knee pit in the place of the greatest pain. Stick with gentle stretch towards placed tape and smoothen the first part on your thigh. 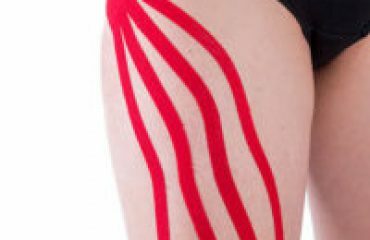 Stick the second part of the Y tape with gentle stretch over the soft tissue of the knee joint towards the shin bone.